This roadmap will help you learn to sing. It won’t make you the next X-Factor superstar, but if you’ve ever thought maybe you can’t sing, you’ve worried about singing “in tune”, or you feel you just don’t have a “good voice”, this Roadmap will let you put those fears to rest once and for all. You’ll also learn to relate singing to the wider world of music. If you play an instrument this will help you relate singing to what you already know and understand on your instrument. If you don’t play an instrument it will help you feel comfortable and confident singing in a musical context, such as with a backing track, a real band, or performing on stage. Check that you are not “tone deaf”. Understand the core concepts of musical pitch. Be able to sing a note in tune. Before you begin your singing journey, there’s one thing we need to check. You might have heard the phrase “tone deaf” to describe someone who sings badly. There is a real biological condition which can prevent you from hearing pitch accurately enough to sing in tune. So before you try learning to sing in tune it’s important to check that your ears are, in fact, working correctly. The Tone Deafness module explains this in more detail and lets you check in just a few minutes whether or not you are tone deaf. Once you’ve passed the test it’s time to put some fundamentals in place. Whether you’ve been learning music for a while or are just getting started, it’s worth examining the topic of pitch. It can seem like a simple and obvious thing but there are some subtleties. Make sure you’re clear on the essentials with the Ear Expansion: Pitch module. Now you can begin the real work of learning to sing. We’ll start from the most basic and most important skill: singing a note in tune. You might want to jump straight into singing songs but it will be much more effective and rewarding to build up your singing skill step-by-step from the beginning. In the Match Pitch module you’ll learn how you can train your ears and voice to let you hear a note, and then sing it back. This key skill will form the basis of everything you learn after. This module won’t take long to read but it will take some time to master this simple skill, especially if you are new to singing. Take the time to use the exercises recommended in the module until you are confident you are able to match pitch reliably. If you have an iOS device you can get the interactive SingTrue app for free as part of your Musical U membership. By the end of this phase you will know for certain that your ears and your voice are fundamentally capable of letting you sing well, and you’ll be starting to feel like a singer. In this Phase you might have questions about some of the tone deafness or pitch concepts. The best place to ask those is in the Discussion for the corresponding module. Learn to accurately adjust the pitch of your singing voice. Practice with the Solfa approach to relative pitch. Now that you can reliably sing back a single note it’s time to move on to what most of us think of as “singing”: singing multiple notes in a row. This requires a skill called vocal control, an extension of the basic ability to match pitch. Once you’ve learned vocal control you will be able to move your voice accurately from note to note, staying in tune. The Vocal Control module introduces the techniques and exercises you can use to develop control of your own singing voice. Once you’re getting a feel for how to move your voice from note to note you are ready to put some real musical meaning behind those movements. For all musicians, the solfa framework provides a powerful way to understand the notes in music. You learn to associate each note of the scale with a certain name (e.g. “do”, “re”, “mi”) which with practice lets you instinctively hear which notes are being played. For singers, solfa is doubly useful. You can use it to train your ears as described above, but you can also use it to train your voice and learn to sing the notes of the scale and move between them accurately and reliably. In the Start Solfa module you’ll be introduced to this approach and given some basic examples to practice singing yourself. If you have questions during this Phase you can ask them in the corresponding module Discussion, or if they aren’t specific to a module, post in your Progress Journal. Once you reach the stage of being able to sing a sequence of notes in tune, it’s easy to then get stuck. For the musicians and singers who go beyond the basic barrier of “I can’t sing”, they often plateau here, feeling “I am not a good singer”. As a result, although they can sing, they don’t. In this Phase you’ll learn what it means to have a “good voice” and identify the areas where your own can be improved. In the process you’ll also realise there are many areas where your voice is already strong. You will decide how to make improving your singing voice a regular habit that’s easy to maintain, and learn some practical things you can do to boost your confidence in singing. Begin with the Good Voice module which lays out the 16 aspects to having a “good” voice for singing. Each one provides an explanation to help you recognise if it’s an issue for you, a “quick fix” you can use to improve fast, and then an exercise you can use for longer-term improvement. Don’t just pass through the module once. Use the “Mark Complete” function to keep track of which aspects you actually feel confident on. If you think it needs work, don’t mark it complete just yet. Now that you know which aspects of your voice need work, how do you actually improve? The Good Voice module provides you with recommendations and exercises which let you pinpoint specific areas. You can start using your Songbook from Phase 2 as the basis for singing practice. Evaluate your recorded practice sessions on each of the 16 aspects and use them as an opportunity to try new things and work on the aspects you want to improve. Even when you know you can sing and have a good voice, it can still be nerve-wracking to open your mouth in front of other people. Performing music always requires courage but it’s even harder when there’s no instrument between you and the audience. 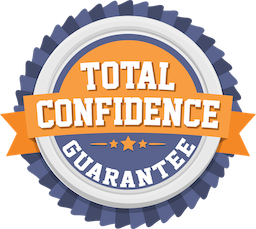 Learn practical strategies you can use to steadily increase your confidence as a musician in the Get Confident module. By the end of this Phase you should feel you intimately understand what makes your voice good and where there’s still room to improve. You will be equipped with a specific plan to work on those areas regularly so that you know you are continuing to improve. You’ll also have a set of tactics you can use to increase your confidence in music so that you never need to hesitate when an opportunity arises to sing. You will know that you can sing in tune with a good voice. This is quite a personal Phase of the Roadmap, requiring you to honestly evaluate your own singing strengths and weaknesses and determine a habit you think you can stick to for improving them. You’ll also need to push your comfort zone to apply the lessons of the Get Confident module. Remember that Musical U is a friendly and supportive community and everyone here is on a learning journey too. Be brave about sharing your observations and asking for input or help when you need it. You will be able to accomplish much more if you open up and share your singing journey with those around you. As always, if you have a specific question about a module, that module’s Discussion is the best place for it. If it’s something more personal to you or more general, post in the Singing discussion board or your Progress Journal. You’ve learned to sing in tune and developed a good voice. You now feel confident opening your mouth to sing in front of people. There’s one more step to take. It’s a sad truth that singers are renowned among musicians for lacking musicality. Many believe they don’t need any training, music theory, or listening skills because they are just naturally a great singer. But ask any musician who’s tried to work with a “natural singer” and they’ll tell you there’s an awful lot lacking! Don’t be one of those singers who are entirely self-absorbed and seemingly oblivious to the music around them. The ones who blast out their part instead of blending with the choir. The ones whose bandmates have to constantly try to keep up with as they change tempo and make alterations without an appreciation of the musical impact. At this stage of learning to sing it’s time to fill in some of the skills which will transform you from “just a singer” into “a musician who sings”. If you’ve been taking this roadmap as an instrumentalist who wants to add singing to their toolkit, hopefully much of this material will be familiar to you. It’s time to connect it up to your new singing skills. If you’ve been taking this roadmap and singing is your only instrument, these areas will probably be new to you, and help you fill in some core musicianship skills that you’d otherwise be missing out on. Begin with the following modules. Each one introduces the fundamental concepts and listening skills in a particular area. Don’t worry about mastering the areas for now, just treat this as broadening your overall awareness of musicianship skills. Learn about intervals, the building blocks of your core sense of relative pitch, and how they relate to the solfa practice you worked on in Phase 2. The solfa approach from Phase 2 lets you identify the different notes of the scale which a melody is based on. Learn more about scales and the different ways you can develop your ear for them. Learn about harmony and how different types of chord determine the musical environment you sing over. Discover how sequences of chords create the movement of mood in a song, helping to support the musical journey you tell through your singing. One of the most frequently-overlooked areas for singers is rhythm, yet having a good sense of rhythm and the ability to sing with accurate timing can immediately distinguish a performance-ready singer from a sloppy amateur. Make sure you understand the fundamentals of rhythm and the impact it can have. As you explored each of these areas you probably noticed one or more stood out to you as areas you could see yourself benefitting from. Continue developing as a singer by exploring the other modules for each topic or choosing a full Roadmap to follow next. Don’t let your progress slow down. Make a clear plan to continue improving as a singer. In this final Phase you are going beyond the core topic of singing and learning how a singer’s role relates to the wider world of music. Naturally, the modules and discussions boards for each topic listed above are the best place to ask if you have questions. If you’re unsure what your next steps should be after this Roadmap or how to continue your singing training, post an update in your Progress Journal, share as much as you can about what you want to accomplish long-term, and ask for help from the Community to figure out the best plan for you.